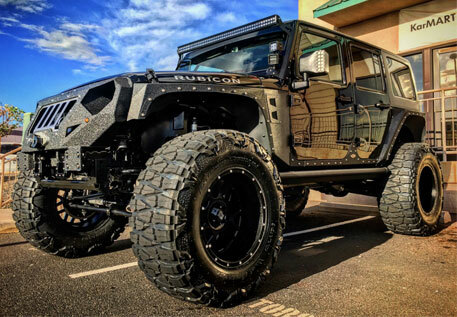 At R.P.M Performance in Burlington, we are obsessed with creating the highest quality SUV, Jeep, and truck builds with the best truck accessories and parts available. With decades of automotive experience we know how to get the job done right. In addition to our experience, we attend SEMA regularly in order to stay abreast of the newest technology. We are an authorized Line-X dealer and installer, and offer suspension upgrades on Jeeps, SUVs, trucks, hatchbacks, and sedans. If you need a performance upgrade like superchargers, custom tunes, exhaust upgrades, intakes, brakes, and almost anything else to make your vehicle handle better and go faster, we can make it happen.